This project was about the use of open software by organisations and aimed at examining improved practice and knowledge for the development of infrastructure in this field. The development and use of open software is a priority of the European Union, meeting several targets like the development of competition, the reduction of operational cost in public organizations, etc. Youth in Action- during this project the Youth Municipal Council of Strovolos hospitalized groups of youth from Greece, Spain and Lithuania. The Youth programme aimed at promoting the better understanding of the multiformity of the common culture and the common heritage of the European states. Young people who participated in the project had the opportunity to meet each other, to present their culture, to meet new traditions and to create friendships with people with whom they share the same questionings. European Life-Long Learning Programme-Leonardo da Vinci-Mobility: funds the training of people in other organisations of other members of the European Union. The funding covers expenses of learning the language, mobility expenses and expenses of living in the foreign country. Through this programme people from the Municipality’s personnel had the opportunity to be trained in Municipalities of Greece on issues regarding E-Government, Management of Human Resource and Public Relations. The Municipality of Strovolos has been a member of the European Networks “Brundtland Cities” (Energy and alternative forms of energy), “Network of Urban Forums for Sustainable Development” (Environment, Environmental information) and “Urbact Network / Young People – From Exclusion to Inclusion” (Finding ways to deal with the social exclusion of young people – developing bonds between schools and community). The Municipality’s participation in these networks provides it with expertise and incorporates it into the culture of the wider European environment, with benefits to the Municipality as well as to the public. 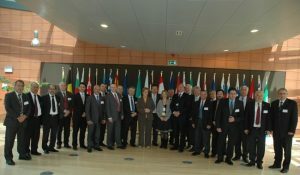 The Municipality was also an active member of the “Q-Cities” network (http://www.q-citiesnet.eu) which is funded partly by the European Programme “Europe for Citizens”. This network promotes the quality and development in Local Authorities. Up to this day the network consists of 12 European cities. The “Q-Cities” network carries the mission of building a broader contact between European cities, searching for common methods and tools for constant improvement and quality of the services offered to the European citizens, creating common politics, etc. In general, the participation of the Municipality in the European programmes and networks, has led to new means of acquiring expertise and sources of sound information have been found in relation to the acquis communautaire and its development. a) Meeting people from different European bodies requires creating relationships and will probably lead to collaborations and partnerships in different European Programmes. b) The exchange of experiences on a national level has led to the incorporation of new techniques and practices which result from the analysis of those experiences. (d) Strovolos and Cyprus have been promoted to foreigners. 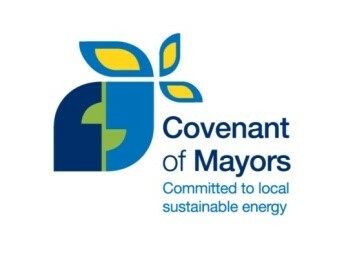 In order to translate their political commitment into concrete measures and projects, Covenant signatories notably undertake to prepare a Baseline Emission Inventory and submit, within the year following their signature, a Sustainable Energy Action Plan outlining the key actions they plan to undertake. Strovolos Municipality signed Covenant of Mayor in 2009. In 2010 in collaboration with Cyprus Energy Agency prepared the Sustainable Energy Plan 2010-2020 which was submitted to Covenant of Mayor Secretariat and has been approved since 2013. The Pact of Islands is a binding instrument with which island authorities will enter into a political engagement in order to meet the objectives of the project. The three-page document is structured in a manner similar to the Covenant of Mayors and is taking into account the particularities of European island communities. runs from April 2011; partners from 7 countries covering the whole Northern Mediterranean (MED) seacoast are working together to improve energy efficiency and promote energy saving in low income housing (LIH) in MED area. Why focus on Low Incoming Housing? Strovolos Municipality participates in the project, which partner is the Cyprus Energy Agency, providing funding of €4,500.00 for the improve of houses energy efficiency for three houses within the Strovolos Municipal limits. The project Buy Smart+, funded by the European program “Intelligent Energy Europe”, provides free consultation and information material on green procurement. 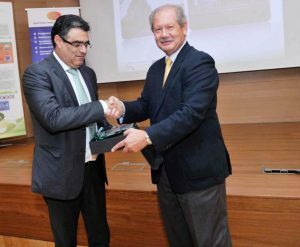 The central strategic objective of the project is to increase the share of energy efficient procurement in Europe. This will lead to a higher market impact and therefore support the production and the use of energy efficient goods and services. We are glad to continue our action to support the implementation of green procurement with the project Buy Smart+ since March 2012. The project is addressed to both private companies and public authorities. Aside from answering general questions we offer procurement tools for the product groups building components, green electricity, household appliances, lighting, office equipment and vehicles. The “European Energy Award – eea®” rewards cities and towns with a label for outstanding efforts in the governance of energy related fields (especially energy efficiency). EEA®” rewards municipal integrated energy planning & activities with the aim to reach and go beyond the “20-20-20” EU energy objectives in the Mediterranean regions. 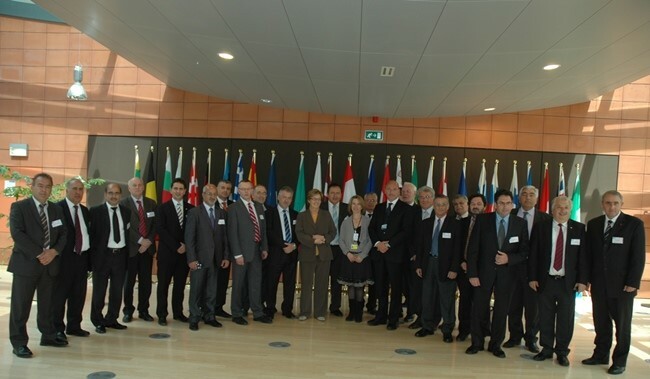 9 partners from 7 different Mediterranean Countries was participate in the project. On the 13th May 2013 during the final international conference of the project, the Award Ceremony of the local authorities which have received the award has taken place on Strovolos Municipal Theatre. 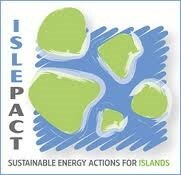 The ISLE-PACT project is committed to developing Local Sustainable Energy Action Plans and a pipeline of bankable projects with the aim of meeting or exceeding the EU sustainability target of reducing CO2 emissions by at least 20% by the year 2020. The project’s duration was 34 months, 1 February 2010 – 30 July 2012. The project’s coordinator is Comhairle nan Eilean Siar – The Outer Hebrides of Scotland. The project is co-financed by the European Commission, Directorate General for Energy. Three workshops on how to perform a preliminary and a detailed or “deep” assessment have been held. The review of 99 projects and the analysis of 53 retained projects for bankability and ultimately ready to be presented to financial institutions and investors. The dissemination of the project’s achievements at local, regional, national and European level through a number of dissemination tools.